Meet Amber at Homeward Pet in Woodinville. Photo courtesy of Homeward Pet. Amber may have only one “A” in her name, but she definitely scores an A+ on the scale of awesome. If relaxing and hanging out is your idea of a good time, then this gal is for you. At about ten years old this cuddly cat will make the best reading partner or movie watching buddy. 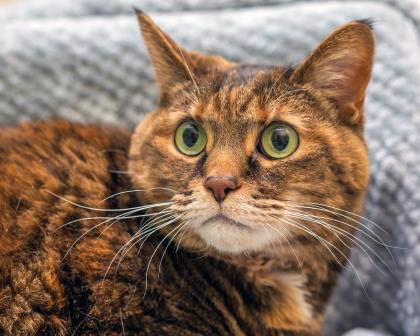 Amber lived with other cats and dogs before, but we aren’t sure how they got along, so she will need a slow introduction to any resident pets. Come be charmed by the amazing and awesome Amber today!